The Plastics Industry Association (PLASTICS) represents the entire plastics industry supply chain. Its governing structure is organized such that each sector of the industry has the same level of influence over the organization’s decision making. Material suppliers, who manufacture raw plastic materials from various feedstocks like crude oil, natural gas and bio-based materials. Processors, who convert raw plastic materials into products used by countless companies in many different sectors. Equipment manufacturers, who build the machinery that processors use to manufacture their products. Brand owners, who purchase and label the finished plastic products and provide them to the end user. Additionally, PLASTICS also has many groups, committees and divisions that operate within one or more of the aforementioned councils. 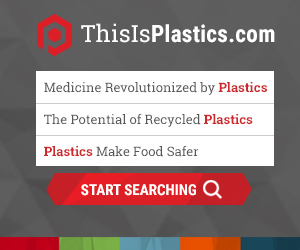 These focus on even more specific segments of the plastics industry including recycling, rigids, bioplastics, food, drug and cosmetic packaging, worker health and safety, and organic peroxides. Governing the organization in this fashion ensures that member companies enjoy both the tailored benefits of a boutique organization as well as the greater influence on public opinion and policymaking that an industry-wide organization provides.